The Moffat Road's ascent of Colorado's Front Range from Denver is one of the glories of railroading, both for scenery and ingenuity. Here, seen from Blue Mountain Road (above Clay Siding) Amtrak's westbound California Zephyr/Desert Wind is approaching the Little Ten Curve. Don't let the relative flatness of the terrain deceive you; this train has been climbing ever since leaving Denver. 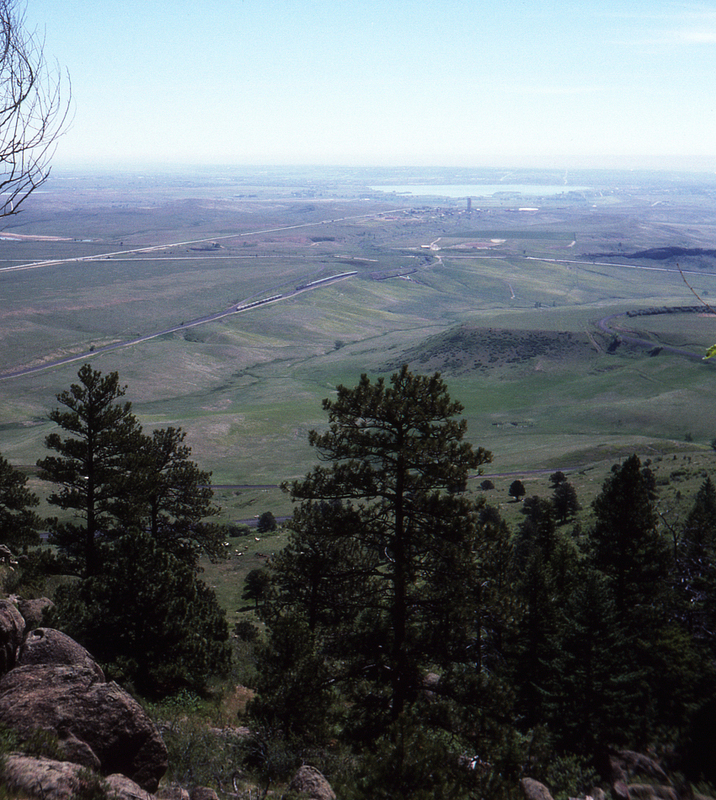 In the distance is Standley Lake, while a bit of Rocky Flats Lake can be seen at the far left. This page posted 7/1/2018; revised 8/1/2018. Text and photo ©2018 Lamont Downs.